Summary: This tube could be the antidote to brightness, edginess and leanness. One of the most famous brands in the history of vacuum tubes now belongs to a different entity. Not unlike Tung-Sol and Gold Lion, this is a newish tube with an old name. 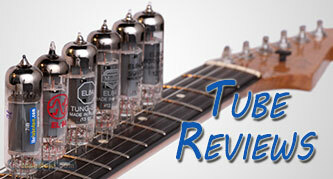 Fortunately, the new tube Mullard EL34 has a lot in common with the originals. There seems to have been efforts made to make current production resemble the originals. The classic tall bottle with a flat top, featuring two large cooling wings attached to the support rods just below the getter assembly. It is a classic look for your audio equipment. The sound of these tubes is pure EL34. Smooth and balanced overall, the frequency response is a bit softer in the midrange than some other models. 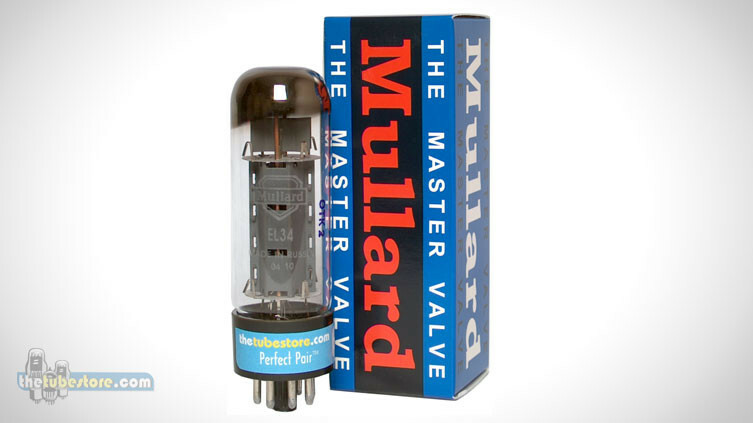 Mullard EL34 tubes have a smooth, liquid feeling that is very different from a 6L6GC. Some people used to refer to this as the sound of a soft vacuum. I don’t know if the vacuum is any different, but the tube has no rough edges to speak of and has that slightly compressed sound at lower levels. When you push the Mullard, the compression becomes more noticeable and helps to build a very fluid sustain. I really enjoy these in my old Dynaco stereo 70 for their warmth. If you want something with bite for your guitar amp these would not be my first choice. Tung Sol EL34B’s would probably be better. If you want to smooth your overall sound and tame harsh midrange response then these may be just what you are looking for.